The blizzard of concept cars that appeared during the halcyon mid-century period included some highs and lows, but amongst the absolute classics of the period, one car stands alone. General Motors’ LeSabre was legendary design chief Harley Earl’s tour de force that had massive influence on car design for a decade. Influenced, as many designers of the period were, by aircraft design, the LeSabre’s snout harkened to the Air Force’s F-86 Sabre Jet. It’s extensive instrumentation included a compass and altimeter. Twin tailfins and a huge central brake light that evoked an afterburner completed its jet aircraft style. 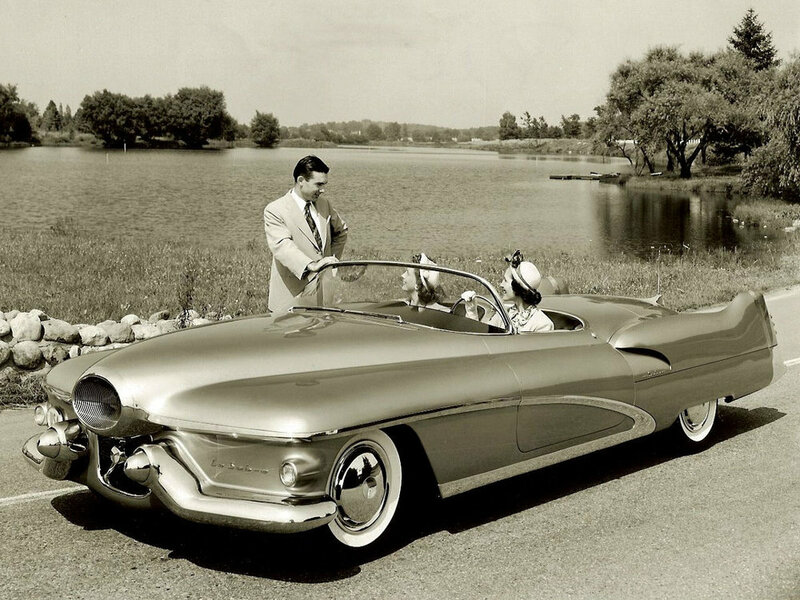 The LeSabre was fully functional and served as Harley Earl’s daily driver for several years, racking up 45,000 miles. A console-mounted sensor automatically raised its top when it rained. The engine was a specially engineered aluminum block V-8 that featured a supercharger and alcohol injection to make 335 HP from its 225 cubic inch displacement. Buick’s XP-300 was a mechanical twin of the LeSabre with its own unique styling. Automatic transmission was located at the rear of the car. Built-in electrically powered jacks at each wheel made tire changes a breeze. 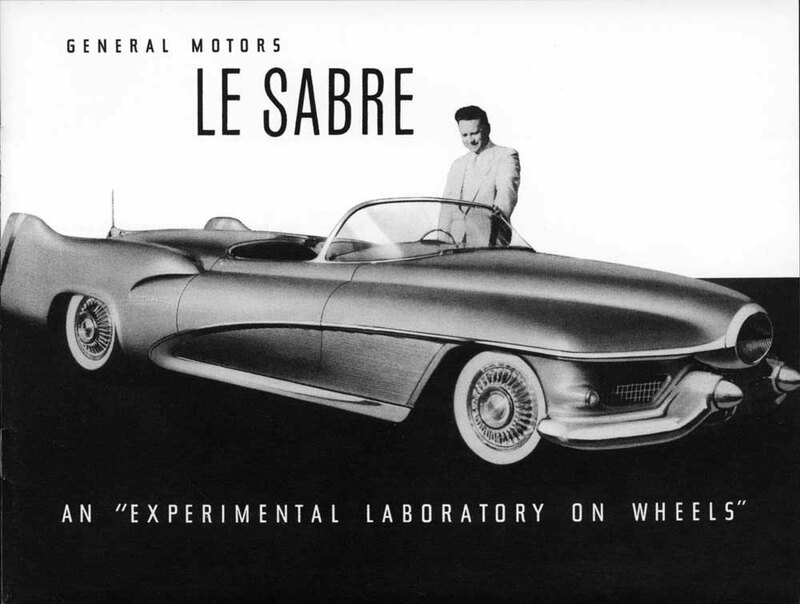 First use of LeSabre name that appeared on a long-running series of Buicks starting in 1959. 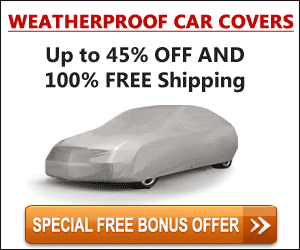 First appearance of GM’s famed wrap-around windshield. GM dedicated a mechanic whose full time job was keeping the car’s complex systems working properly. Seat and steering wheel were non-adjustable, permanently set for 6’ 4” Earl alone. Length: 200.9 inches / Width: 76.8 inches / Height: 50 inches / Weight: 3800 pounds. After its introduction, the LeSabre seemingly appeared everywhere as GM wrung maximum publicity from their expensive new dreamboat. It caused a sensation at the Paris Auto Show and, while in Europe, posed for photos with General Eisenhower. Several toys and model kits appeared so excited kids could share its wonders. European coachbuilders stole its design elements, with even a bus maker copying its front end. Seeing the LeSabre’s massive impact and publicity value, Ford set to work building their answer, the sensational 1953 X-100. Even today, several decades later, it would be hard to find a more widely known or influential concept car than General Motors’ LeSabre. Today, the LeSabre remains a lovingly preserved star of the General Motors Heritage Collection. It’s trotted out to appear at shows and museums nationwide where viewers are as stunned as those who first beheld its sleek, precedent shattering style, way back in 1951.